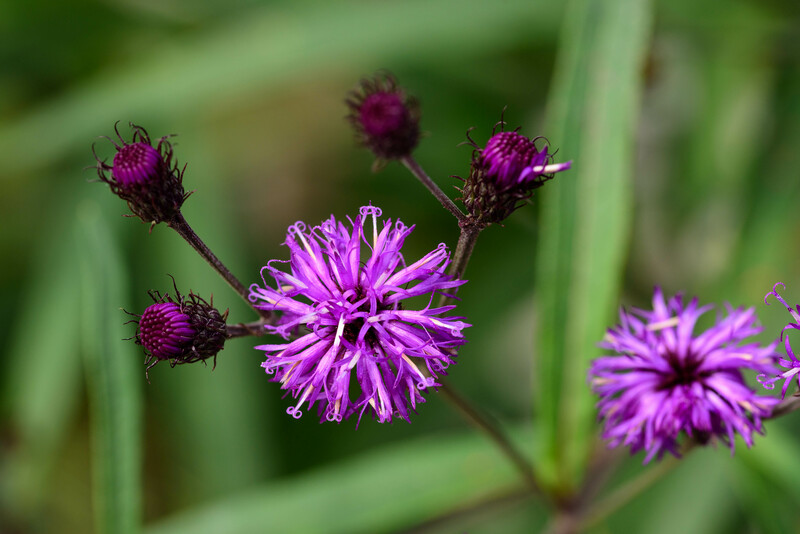 Another of the fantastically showy summer-blooming wildflowers is New York ironweed (Vernonia noveboracensis), a perennial that can grow to six feet tall given the right conditions: moist to wet soils and full sun. 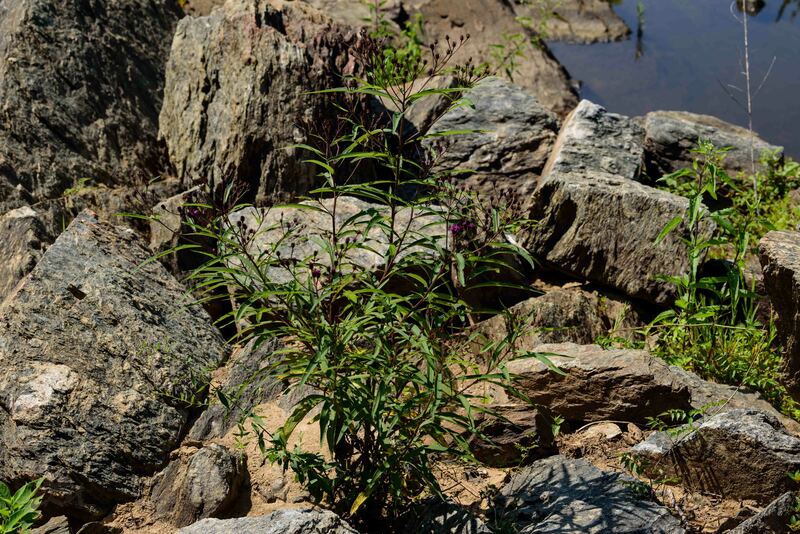 I find them growing along the banks of the Potomac River in the area downstream of Carderock. The species ranges from southern New England south into the mid-Atlantic and upper South, with a few populations a little into the mid-West, and a single county in northern New Mexico. There are records for it in every Maryland county. I’m drawn to this plant by the structure of the flowers. 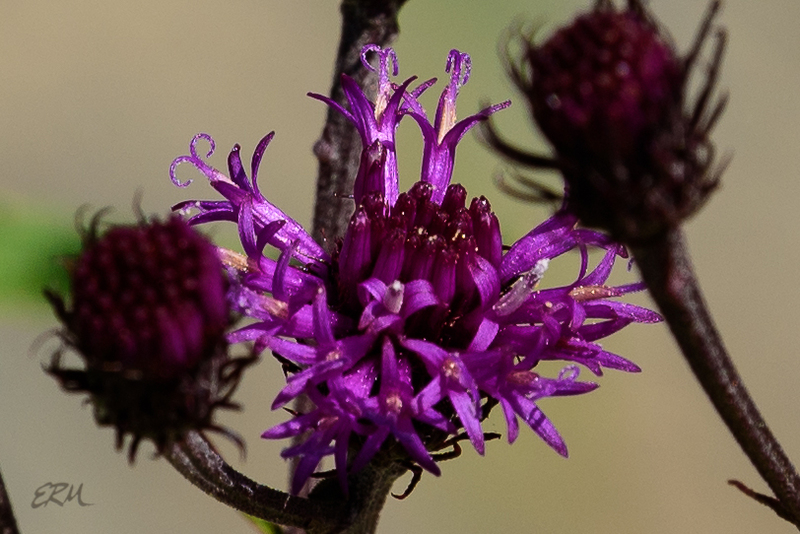 Despite being in the Asteraceae, the inflorescence has only disk flowers. If you look closely at a new head you’ll see them tightly bunched up, still unopened, surrounded by phyllaries (bracts at the base of the head). 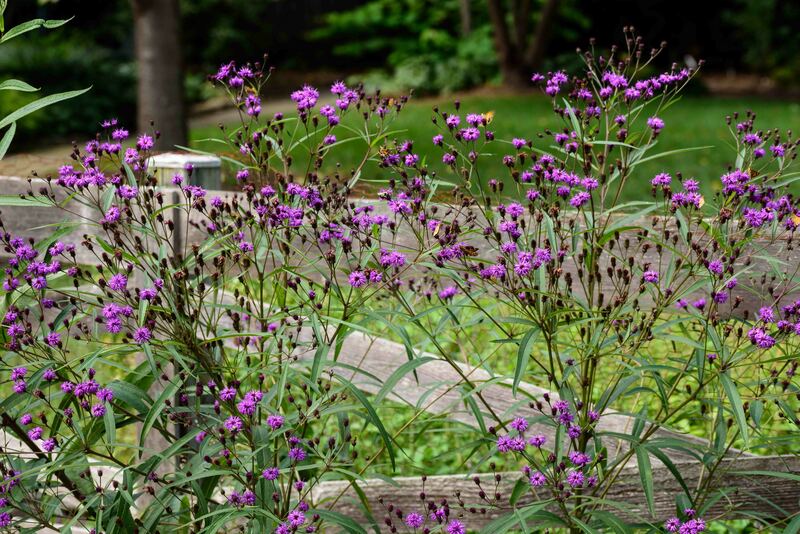 New York ironweed is great for attracting pollinators. I’ve seen several different species of butterflies and skippers on the one in my garden, as well as a variety of bees. Look closely at the top photo: there are at least eight skippers there. 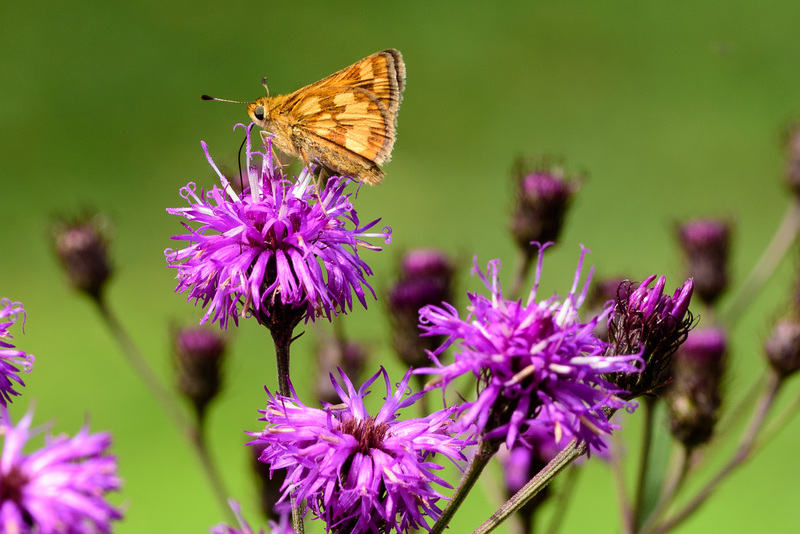 This entry was posted in Uncategorized and tagged Asteraceae, New York ironweed, skippers, Vernonia by elizabeth. Bookmark the permalink. 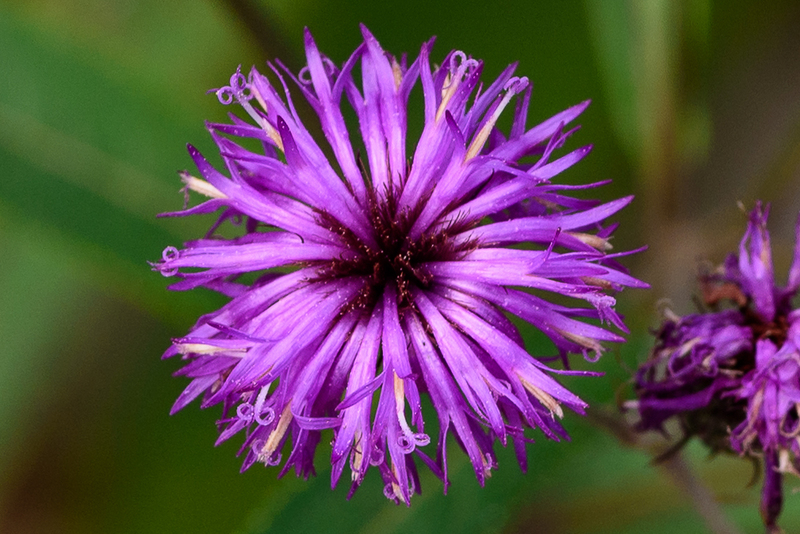 I like vernonia too. they will probably never get into any top ten list because the flowers are rather small and have a dishevelled disorganized appearance. but I think they are great.